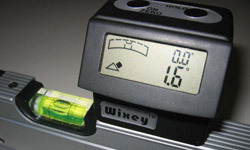 Type 2 - The Wixey Digital Angle Gauge accurately sets saw blade bevel angle. 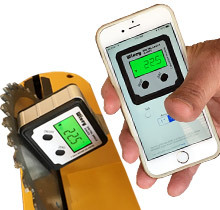 It has 0.1 degree resolution, uses a single AAA battery, and works great for miter saws, table saws and other machinery set up. 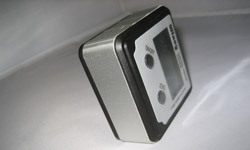 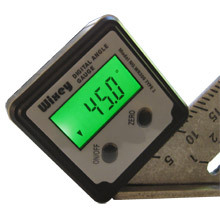 The original Wixey Digital Angle Gauge has been the industry standard since 2006. 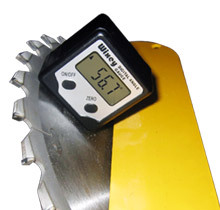 Size: 2.3" x 2.3" x 1.1"
Super strong magnets hidden inside the bottom of the gauge securely attach the digital angle gauge to saw blades. 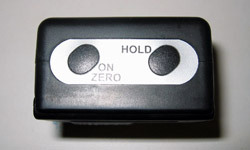 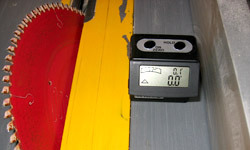 Press the ZERO button to calibrate the angle gauge to any reference surface. 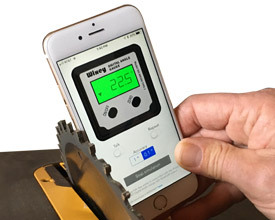 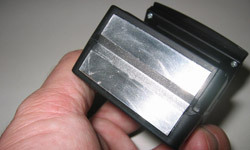 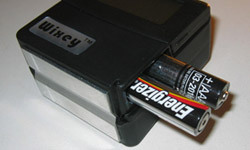 Super strong magnets securely attach the gauge to saw blades and other metallic surfaces. 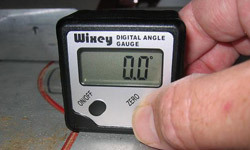 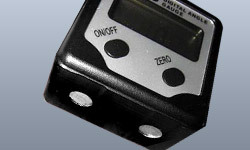 Press the ZERO button to calibrate the gauge to any reference surface. 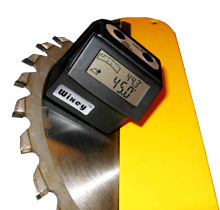 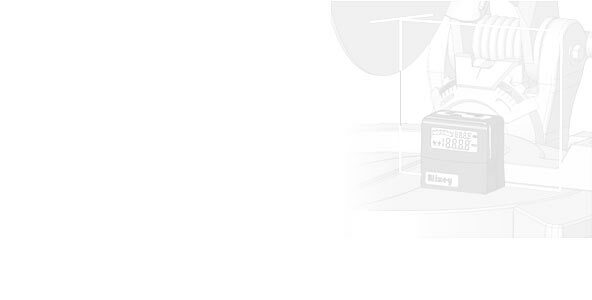 Precisely set the angle of your saw blades, jointer fences, drill press tables and more. 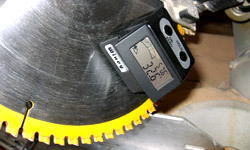 Super strong magnets securely attach the digital angle gauge to saw blades. 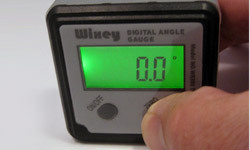 Press the ZERO button to calibrate the angle gauge to any reference surface. 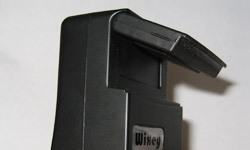 Size: 2" x 2" x 1.3"